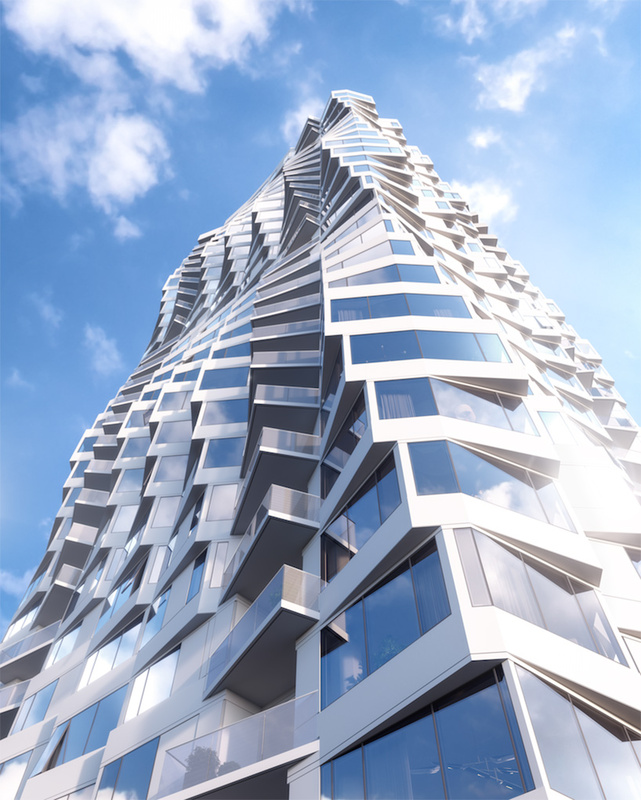 more details have been announced regarding a studio gang-designed tower, which is currently under construction in san francisco. 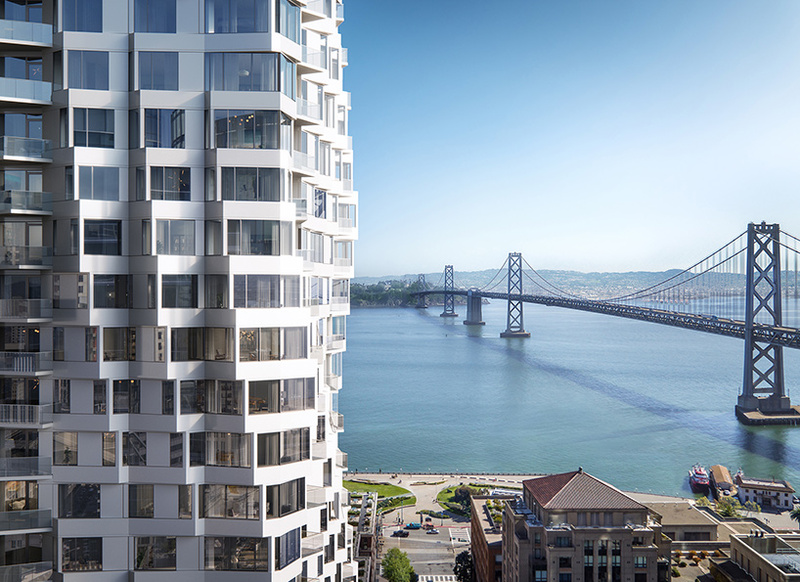 named ‘MIRA’, the 40-story structure will host a community of luxury condominium residences in close proximity to the embarcadero. 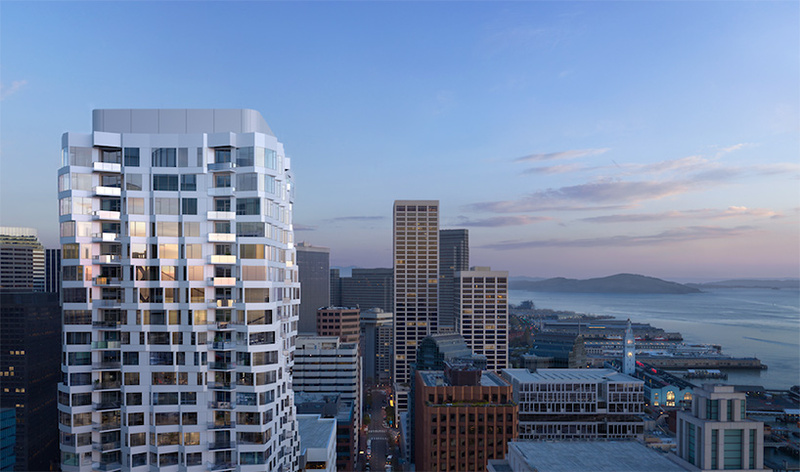 the distinctive design features large bay windows, which spiral up the façade to offer sweeping views of san francisco bay, the bay bridge, and the city skyline. 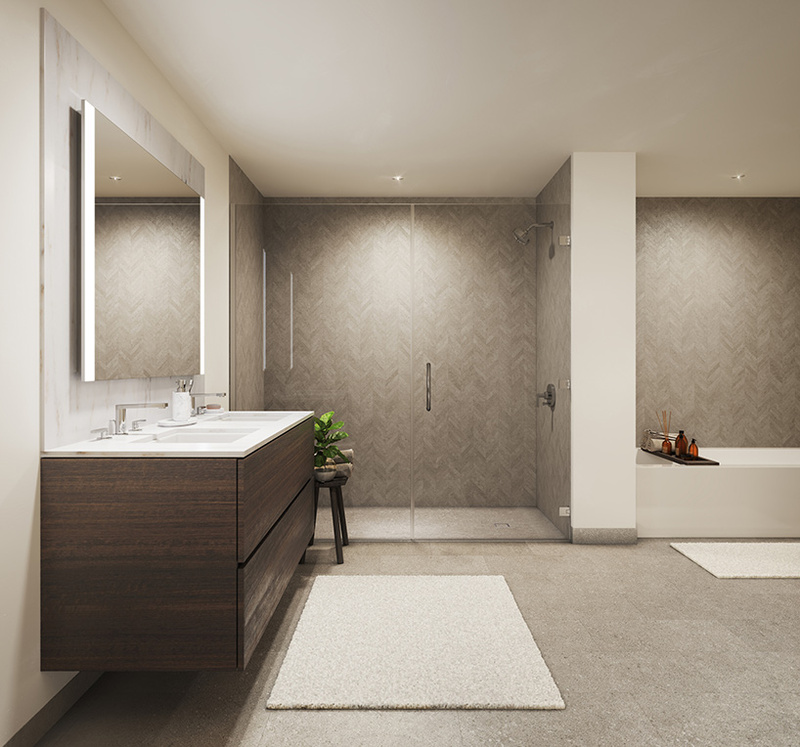 MIRA launched its sales gallery in november 2018 and released its first 32 homes to market. 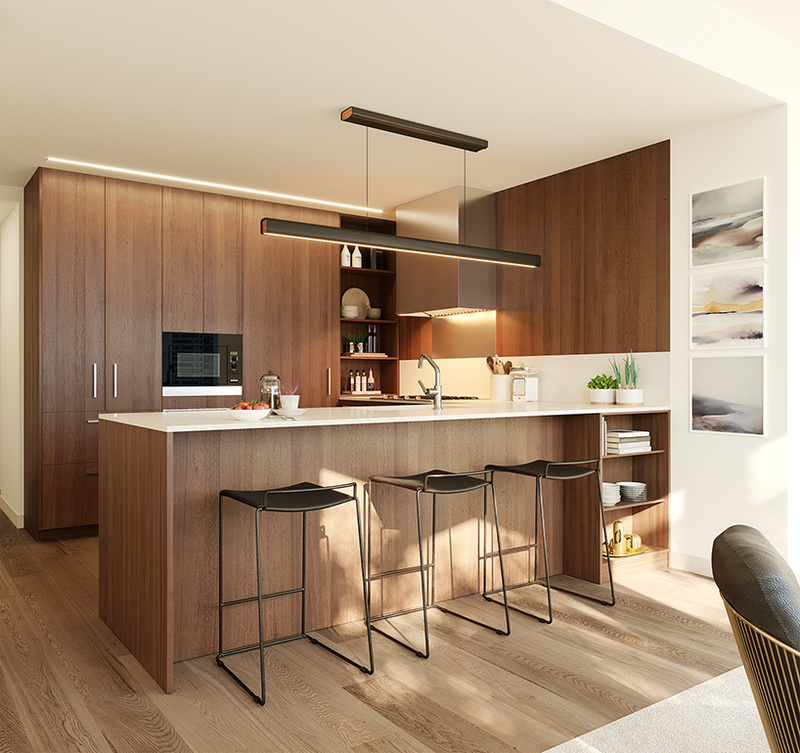 prospective buyers can now make appointments to preview the homes and tour the sales gallery’s fully furnished model home vignette at 163 main street, one block from the construction site. 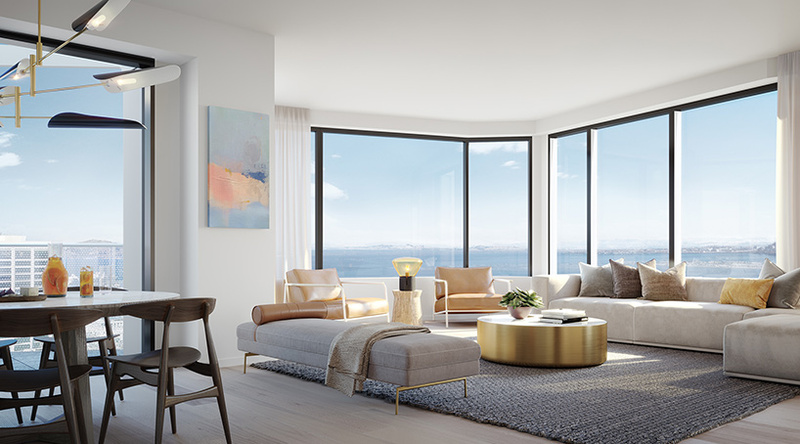 ‘we have designed the homes at MIRA to be a seamless extension of the architecture, and I am excited to share those interior spaces with the opening of the new sales gallery,’ gang continues. 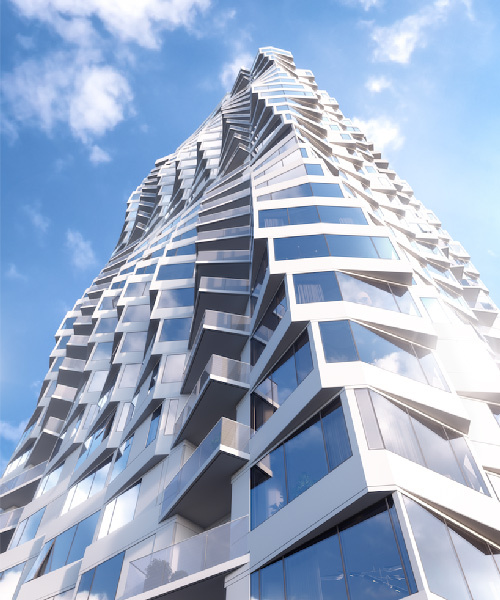 the tower also comprises a wealth of on-site amenities, including: a courtyard and rooftop deck, a private dining room, a club lounge, a fitness center, a children’s playroom, a business and conference center, a dog washing station, valet parking for 340 cars with electric vehicle charging stations, parking for 150 bicycles, and retail outlets at street level. 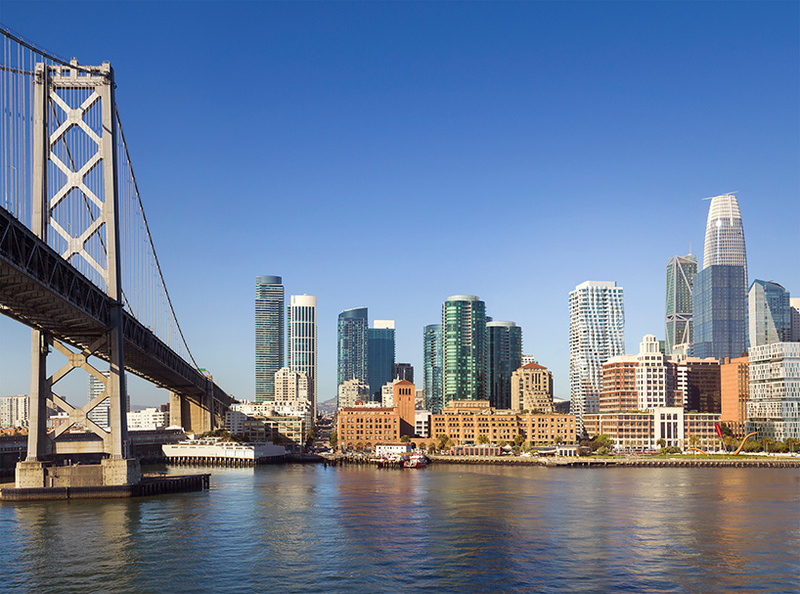 the tower’s prominent location offers convenient access to the waterfront, the new salesforce park and transbay transit terminal, and a wide array of retailers, nightlife, restaurants, transportation options, and sports and entertainment venues. 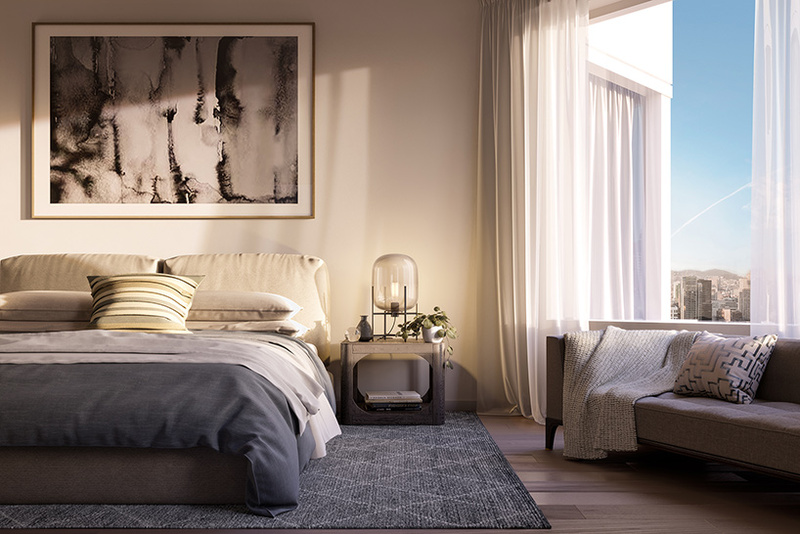 prospective buyers are now able to register their interest on the project’s new website, with occupancy slated for the autumn of 2019.